Healthcare Reform, Too Little Too Late. When I signed up to study abroad in Australia I had to pay a tax to their socialized healthcare system since my health insurance would be exempt for the semester. At the time a gawked at the fee and saw it as a waste, which luckily most students going abroad don’t end up needing. Two months into my travels I ended up in the emergency room one night and a few days later took an ambulance ride back. I spent two nights in the hospital after being diagnosed with pneumonia. During my stay I had chest x-rays, doctor’s visits, respiratory therapy and was given medication to which I never received a statement of what the total cost of my illness was. The experience did leave me with a very pro-socialized healthcare mentality. So you might think I am pro-Obamacare as well… and I have to say it confuses me a great deal. Towards the end of June my mom asked me for some advice about her friend. Gayle and her husband are exactly the kind of family meant to be targeted in the Obamacare package. They are a hard-working blue color family with no healthcare benefits and no extra spending cash for medical expenses. Gayle told my mom she had been in a great deal of pain with her hip and needed medical attention she couldn’t afford. The concern in my mom’s voice when she talked about how Gayle slurred her words on the phone made me wonder if she feared Gayle was inappropriately medicating her pain somehow. After talking with me about Gayle’s situation, my mom passed along information she gathered about The Kansas City Free Health Clinic. (http://www.kcfree.org/) This organization was established in 1971 to support Kansas City residents who have no insurance or are under-insured. They provide basic health and wellness services for medical, dental and mental health. While I didn’t know if they would be able to cure an ailing hip, at least she would be able to see a doctor and take a step in addressing the pain. Ironically, the crisis Gayle was experiencing fell at a time when our United States government is in crisis over our health care system. To vote for or against a repeal of a healthcare package meant to bring assistance to people like Gayle, her family and 34 million other individuals in similar situations without proper healthcare coverage. The debates about healthcare reform still seems to skirt around the real problem with our health care system. I believe everyone should have access to affordable healthcare. There in lies the problem which Obamacare doesn’t seem to be addressing – the affordability issue. Why is healthcare in the United States so expensive? 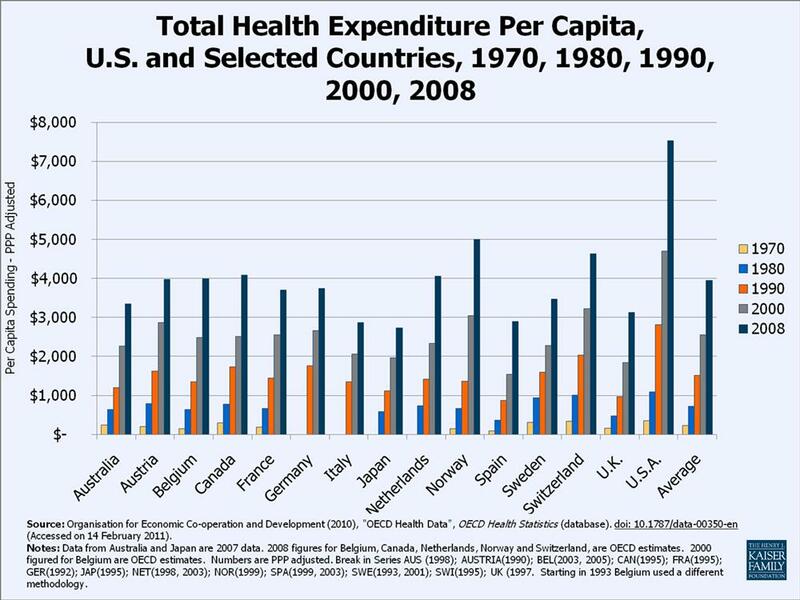 Our country spends exceedingly higher rates per capita on healthcare than any other nation, yet the overall health of our country does not reflect this. Circulatory diseases, respiratory diseases, mental health issues, diabetes and musculoskeletal system diseases are all treated/maintained and cured at higher rates elsewhere in the world. It’s like we are paying for the lease on a new Cadillac yet driving a Ford Focus. It will get you around town, maybe, though it’s no Cadillac. In my common sense ideas of healthcare reform, the target would be to eliminate the power given to insurance providers and pharmaceuticals. Stop allowing the healthcare system to be a business of making money and return the CARE back to healthcare by allowing it to be a service. Medicine, in it’s intended purpose, is necessary. In the cloud of drugs becoming a get rich quick scheme for companies to legally market and distribute with horrendous side effects and prices to match – is out of control. In my common sense mind the profitability of drug companies needs to be eliminated. There should be caps on the amount medication costs, rather than the expense being a reflection of its novelty, recency to the market, or availability of generic brands. Penalties would be great for drug companies who “accidentally” released a medicine which was later found out to be too dangerous or risky. It seems all too often, pharmaceutical companies are in a rush to release a product and build their bank instead of ensuring safety. Those who are driven in this field to line their pockets would likely move on. Those left working in this industry would be in it because they cared about making people well and curing illness. And the other evil of the industry being ignored by healthcare reform is insurance providers. It’s hard to pinpoint which industry is most responsible for the increase in expenses since they seem to feed off of each other in a competitive manner and both are equally out of control. Insurance companies have all the power of who, where, how much and if they will cover your health. Those who can afford insurance pay too much in premiums to not get a say in how they want to receive it. Insurance companies hinder how providers would provide services because everything revolves around the cost. Preventative measures are avoided due to billing and often lead to even greater, more expensive problems later. To me, there is no sense in allowing the health insurance industry to continue having so much power and control. Insurance should be a service, not a money-making business. This would ensure healthcare to be affordable for all. Healthcare reform seems to be opening up 34 million Americans to a corrupt and flawed system. Insurance and pharmaceutical companies will continue to take advantage of opportunities to profit and 34 million more of us will be subject to the stresses of what it takes to “get well” in American healthcare. As for Gayle, my mom called me within days after our phone conversation. She reported Gayle didn’t make it to KC Free and instead had to go to the emergency room over the weekend. They found her hip was fractured and she was diagnosed with breast cancer. With such a fear over the medical expenses and being uninsured she hadn’t been to a doctor in years. Gayle never left the hospital, she was placed on hospice and passed the night of Forth of July. Her four-year old grandson, who she was helping to raise, struggled to understand where his GiGi went. When his family tried to console him and tell him she wouldn’t be coming back he verbalized anger towards doctors and hospitals as if they were the ones responsible for her death. For him and his family, their lives are forever changed because of a disease untreated. A wife, a mother of 3, a grandmother and a friend is gone because of the lack of affordable healthcare. For Gayle, healthcare reform in the United States was too little too late. What I hope Americans realize and demand politicians to address is access to doctors and hospitals is a symptom of the greater problem.